Orange Ribbon Run 2016: A Race You Should Not Miss. Here's Why. | JustRunLah! Orange Ribbon Run 2016: A Race You Should Not Miss. Here’s Why. 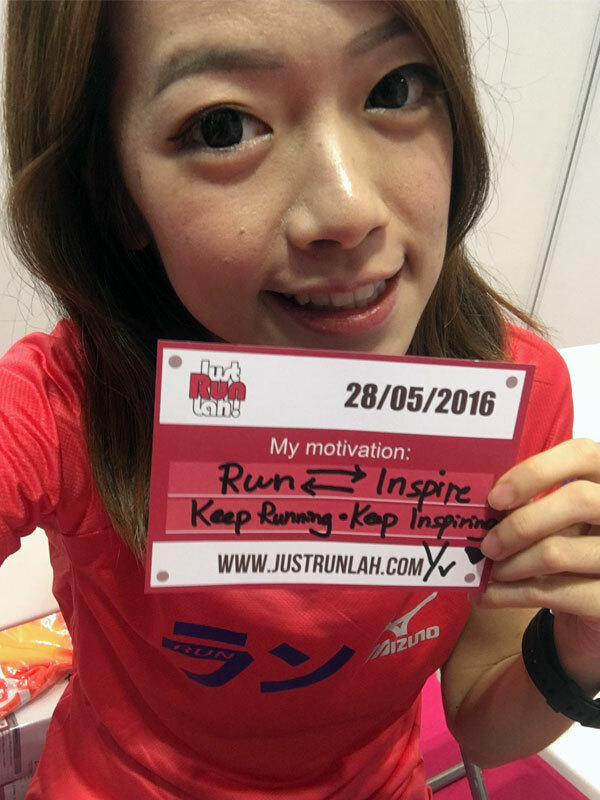 The Orange Ribbon Run is an annual celebration of the people of Singapore and this year’s edition is happening on 10 September 2016! OnePeople.sg provided this signature platform for people of all cultures, religious and ethnic backgrounds to come together to celebrate and promote equality and unity. People from all walks of life will be RUNNING AS ONE to promote an active healthy lifestyle. 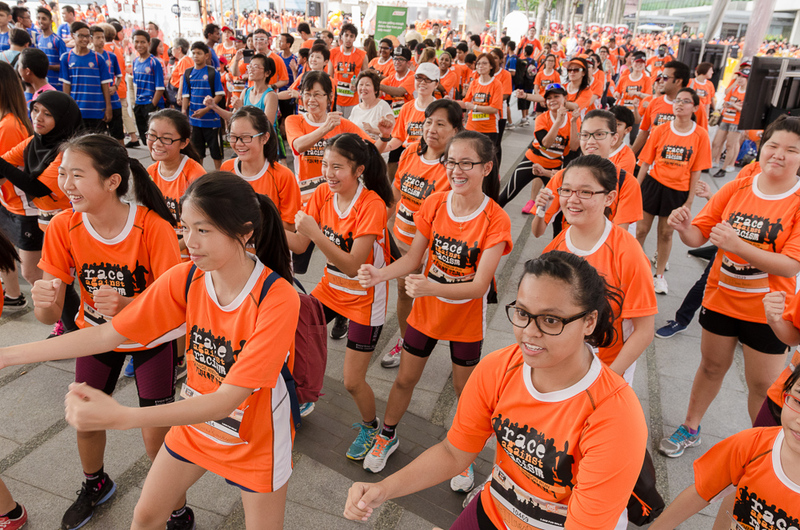 Last year 7000 runners, walkers and volunteers gathered as one in Marina Bay Event Plaza for Orange Ribbon Run 2015. Their presence in the event helped to raise awareness of racism. Video: “RACE AGAINST RACISM!” shouted by all runners in the Orange Ribbon Run 2015. For every support, each runners will be entitled to a Race Pack, Finisher Medal and the Exclusive Race Against Racism T-Shirt. Be proud of wearing the T-Shirt even after the race. Spread the movement and inspire others! So, be sure to join us again if you were there, and if you weren’t, you definitely don’t want to miss it this year! Do you have running buddies from other ethnic groups like I do? Then you may consider to take part in the Buddy Categories – 5 km Buddy and 10 km Buddy, with a better rate – $3 off per participant. 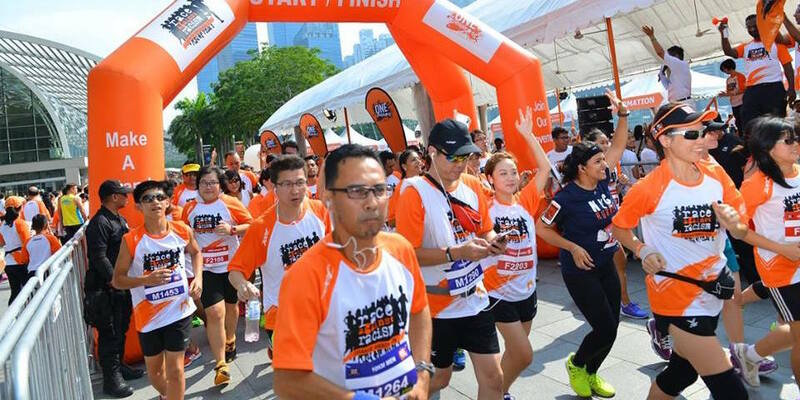 Enjoy #bondingtime with your buddies in the Orange Ribbon Run 2016 and capture a #wefie at the iconic city centre route along Bayfront. What better way to celebrate your friendship? 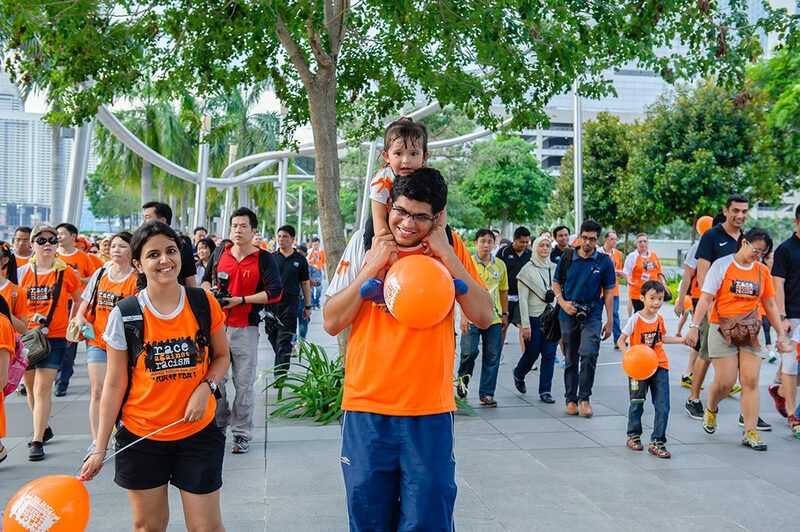 Besides the competitive category, the 3.5km Fun Walk is open for kids with a minimum age of 5 years old. An excellent chance for parents to be a role model and bring your little ones to embrace diversity and gain insights about the uniqueness of our cultures throughout the fun activities in the Orange Ribbon Run 2016. Nothing is more exciting than complete a race with your family! And also together, you are building a united home, as well as contributing your part to maintain a harmonious community. The Orange Ribbon Run 2016 will be held on 10 September (4:30 pm), Saturday, at the Bayfront Events Space. So… Don’t miss out the opportunity. Register today and take your step to race against racism. Click here now to register for the Orange Ribbon Run 2016 now!